A new report published in the journal Nature shows that there is a looming threat to food security in Africa if timely measures are not taken to mitigate the impact of climate change. The new findings show that the production of staple crops would be affected in the coming years due to a transformation in the agriculture system brought on by switching crop types or moving out of agriculture due to uncertainty of climate. Transformational change implies shifts in location for production of specific crops and livestock, or shifting to farming systems new to a region or resource system. The study, called “Timescales of transformational climate change adaptation in sub-Saharan African agriculture”, was funded by the CGIAR Research Program on Climate Change, Agriculture and Food Security (CCAFS) and a Young Scientist Innovation Grant from the International Center for Tropical Agriculture (CIAT). The study states that there is an expected decrease of 5 per cent in crop productivity for every degree of warming above historical levels. At the same time, adapted crops, which replace main staple crops, see an increase of 7 per cent in yield. This increase is not according to expected demand in the future. The report indicates that such practices are not enough to meet the future food security of farmers and consumers of Africa. The report says the continent will need to prepare for possible large losses in national production potentials, and production areas, of up to 15 per cent by 2050 and over 30 per cent by 2100. 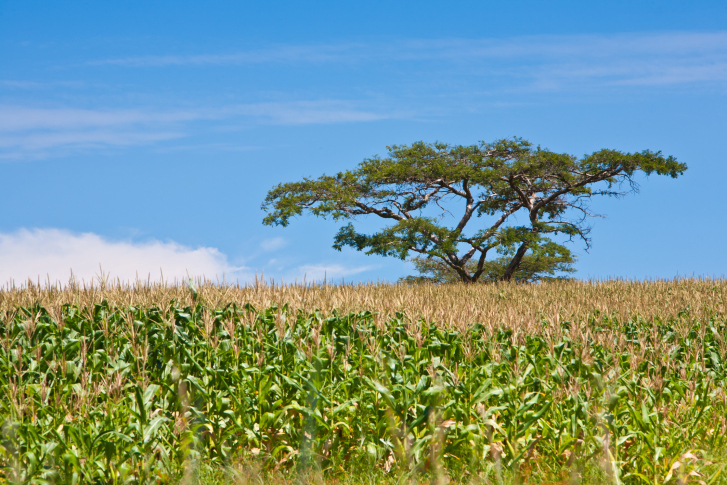 Maize and beans are a critical part of livelihoods in larger parts of East Africa. The study shows that due to transformation, people would shift to more drought-tolerant cereals such as millet and sorghum. But such shift will cause a reduction in yield. Moreover, in some areas in southern Sahel and dry parts of southern and eastern Africa, these drought-resilient crops would increasingly become more marginal. The report suggests that for these areas, transformation to livestock might work instead of a transformation in cropping which may not be a viable livelihood strategy in the long run. The report also suggest of measures like modification to crops and to management practices, including irrigation, to prolong suitability in areas of decline. It also pitches for the need for strong public policy. The policy must deal with every stakeholder from the farming community to value chains and among consumers. The crop improvement and improved agronomy will delay transformation by improving staple food traits such as increased heat or drought tolerance. But it will be a long run effort which requires lots of investment. “Crop improvement requires lead times of 15 years or more; hence, investment should be prioritised immediately, well ahead of projected transformation thresholds 20–50 years from now. In addition to crop improvement, changes in farm management practices, such as cropping calendars and water and nutrient regimes, and enhanced support, such as agro-climatic advisory services, can prolong the incremental adaptation phase,” states the report. Further improvement in agronomy, transformation of agriculture will also require a shift away transition from traditional food storage, transport, processing, trade or dietary patterns. According to this report, the current dietary pattern of Africa, mostly dominated by corn, is also in transition. A century ago, small grains, which include millet and sorghum, transitioned to maize as the dominant crop of Africa. “Moreover, evidence suggests that prevailing preferences for maize are not absolute, with both farmers and government officials in Kenya preferring re-diversification to small grains over, for example, improved maize varieties. Furthermore, in some countries, farmers are already undertaking transformational climate adaptation even at the early stages of climate change,” the report states. In Africa, the tradition crops & cropping patterns define the dietery pattern. Also, they are adopted to climate conditions. Any change from this will severely affect the people. Western seed companies may be interested to introduce the maize to sell their maize seed and earn billions but poor will suffer.